Photo: Wandering the grounds of Phimai. Linked to Angkor by a sacred road, Phimai was a regional centre of the Khmer empire when it ruled over much of mainland Southeast Asia from the 10th to 14th centuries. Merchants took advantage of the trade links as pilgrims flocked to a richly decorated sandstone sanctuary that now ranks among the most impressive historical sites in Thailand. The area’s distant Khmer roots are on display at Prasat Hin Phimai, part of a well-preserved historical park in the centre of town. The site resembles a scaled down version of Angkor Wat with a towering central prang embraced by stone corridors, exquisite carvings and broad trees. Phimai stood at the northern end of a road charting a 150-kilometre path to the Khmer capital at Angkor in the south, complete with rest areas and health clinics for weary travellers. From Phimai it was also possible to strike east along the Moon River towards the Mekong River and Wat Phu, or north up to Laos via the Chi Khong system of waterways. The name Phimai probably derives from the Sanskrit word, Vimaya, which was engraved above an entrance. Holding a special place in the hearts of many locals, the ancient Pachit-Oraphim folktale stars a woman from the area, Mae Oraphim, who was kidnapped from her Khmer prince husband, Phra Pachit. After escaping in the robes of a monk and taking residence at a temple, she told her tragic story via a series of murals. In a rage Pachit tossed a bunch of objects around the area, creating geographical landmarks. After calming down, he visited the temple, understood the murals and reunited with Oraphim. Today Phimai hosts a laidback community of mostly Isaan-Thais in the far northern reaches of Nakhon Ratchasima (Khorat) province. Attracting a steady trickle of foreign travellers, the town boasts a terrific night market along with a captivating National Museum and Thailand’s largest banyan tree grove at spooky Sai Ngam. Phimai’s status as a transport hub withered centuries ago, which is not a bad thing if you seek tranquility. While Phimai makes an easy day trip from Khorat, we suggest settling into one of the good-value guesthouses to let the rural vibes seep into your soul. You might also take a side trip to Ban Prasat, a serene village featuring homestays, silk studios and an archaeological excavation where you can gaze down at 3,000-year-old burial sites. Held annually in the second week of November, the Phimai Festival includes elaborate longboat races, parades, folk performances and the Vimaya Natakan light and sound show held on the grounds of Prasat Hin Phimai. If you’re trying to decide between Phanom Rung and Phimai, it’s a tough call. The actual hilltop ruins of Prasat Phanom Rung are more dramatic, in our opinion, but the site is isolated and the surrounding area has little of interest. Phimai’s ruins are also spectacular, with the advantages of a charming town and terrific museum all tied into a single package that’s easy enough to access. Phimai is located 60 kilometres northeast of Khorat and 150 kilometres south of Khon Kaen in Thailand’s northeastern Isaan region. Route 2, a major highway connecting these two large cities, is 10 kilometres west of Phimai. The town’s two main roads, west-to-east-running Anantajinda and south-to-north-running Tha Songkran, intersect at a digital clocktower in the heart of town. The gate to Prasat Hin Phimai Historical Park is located a short walk west of the clock tower on Anantajinda, while the night market sets up to the east. Several affordable guesthouses are found in this area. The Moon River flows into town from the west and branches into a tangle of waterways, including the wide Chakarat River, which flows south through central Phimai. Anantajinda continues west over a bridge before hitting Route 206 near the tiny bus station, located two kilometres west of the historical park. Buses can also be caught at the clocktower. Phimai is a great town for a bike ride: take a spin south down Buchayan Road from the clocktower and you’ll reach Phratu Chai, an ancient stone gate. From here you could cruise north along the Chakarat River before cutting east, perhaps with a side trip up to the National Museum, on the way to an ancient reservoir and Sai Ngam to the east of town. The Thai tourist police have an office just west of the historical park gate on Anantajinda. Phimai Hospital is located off Tha Songkran, north of the Moon River and two kilometres north of the clock tower. Banks and ATMs are found near the clock tower. Internet is available at J Net, located 300 metres north of the clock tower at the corner of Tha Songkran and Chomsa.  Please sign up as a Travelfish member to download the Phimai guide PDF (5 MB, 24 pages). Membership costs just A$35 per year (less than A$1 per week) and gives you access to over 250 PDF guides. Browse our independent reviews of places to stay in and around Phimai. Read up on where to eat on Phimai. Check out our listings of things to do in and around Phimai. 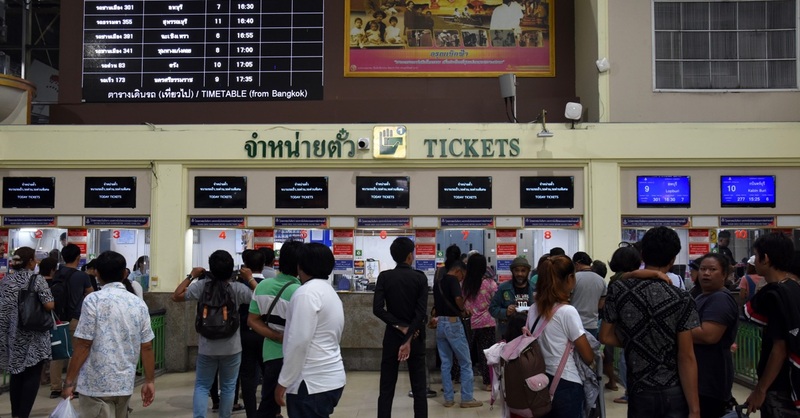 Read up on how to get to Phimai, or book your transport online with 12Go Asia. Planning on riding a scooter in Phimai? Please read this. 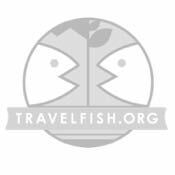 Use the above map to find specific destinations in and around Phimai which are listed on Travelfish. Bed icons indicate a guesthouse, hostel or hotel, the knife and fork is an eatery or bar and the four-way circular thingy marks sights, attractions and other points of interest. Click on any icon for a short pop-up and a direct link to the page for that spot. If you are in the area, use the teardrop icon near the top left to show your position on the map (you'll need to allow position sharing for this last feature to work).